So if all this adventure hadn’t happened we were supposed to have people over for dinner but we had to cancel and made a simple dinner for us instead. A sort of brown rice salad with a sun-dried tomato pesto. 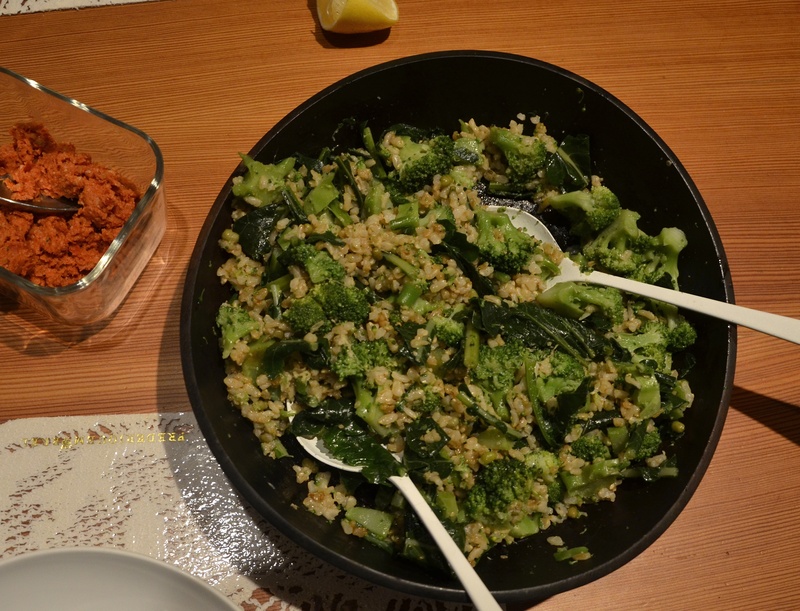 All I did is mixed up some cooked brown rice, some gomasio (sesame and salt) and blanched broccoli! Soak about 10 sun-dried tomatoes for 4 hours to get rid of the salt. Drain and let dry a bit on a kitchen towel (30 min or so). 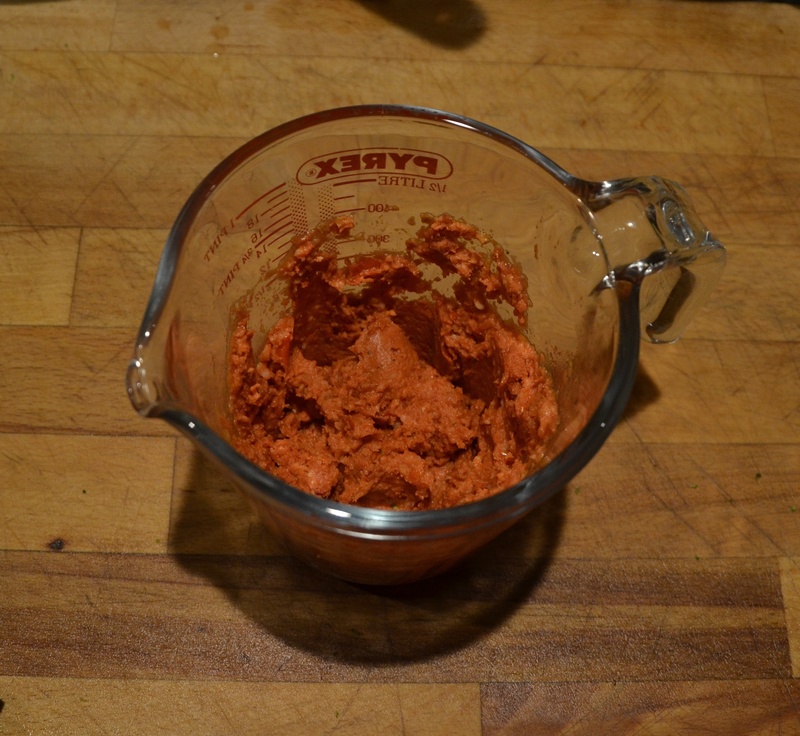 Mix the tomatoes with 2 tbls pine nuts, half of 1 garlic clove, 1 tbls olive oil, 1 tbls water and blend everything with a hand blender and create a smooth texture. Dress and mix the rice and broccoli and serve with some pesto on top.